Even though I was referred by other players I was still skeptical, I didn’t think it could be done, but he did it! 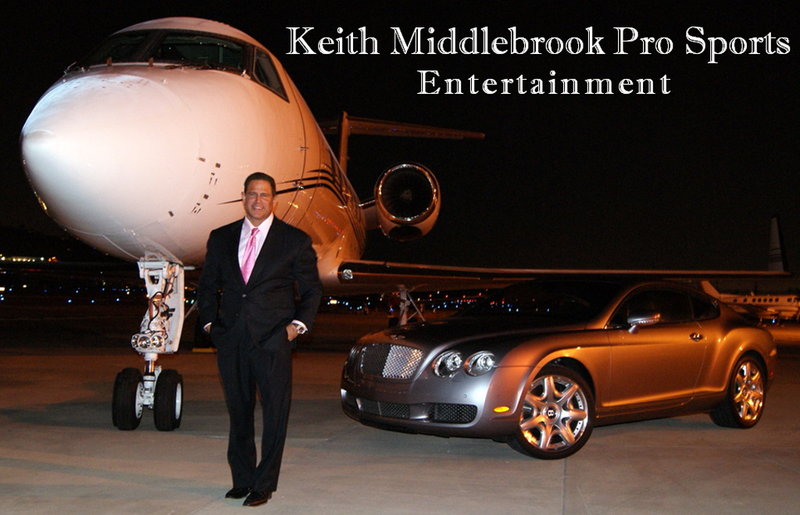 Keith Middlebrook completed Deleted my BK in less than 72 hours! Unbelievable and Awesome! Keith then took it a step further and beyond my imagination and did the impossible. He somehow did it from the the inside with his powerful connections and financial network, and saved and got my house back in Rancho Sante Fe California! He has trained me with his LLC Program making me literally invincible! This Powerful Program you can’t learn in school or any University. Had I known of his process I would have never been in this situation to begin with. I now understand and see the light, which makes all the difference in the world. Without it your a sheep to be slaughtered. Robert who wasn’t even supposed to be on the team the first 2 seasons became one of the greatest strong safetys in NFL history! 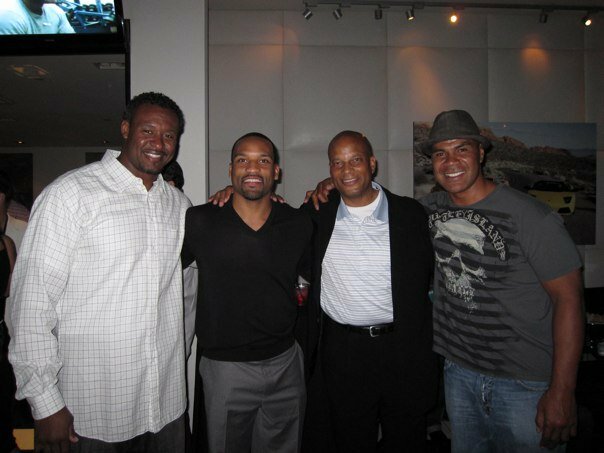 Willie MicGinnest, Robert Griffith, Ronnie Lott and friend and legend Junior Seau. After college, Robert had a brief stint in the Canadian Football League playing for the Goldminers. 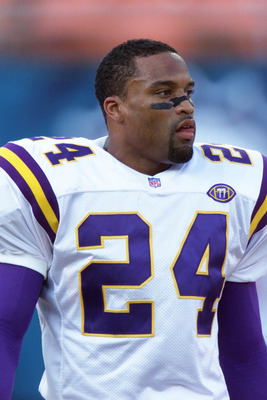 Soon after, Robert had the opportunity to play in the NFL and joined the Minnesota Vikings. In his first two seasons, he was mostly used as a backup and as a special teams player before having a breakthrough year in the 1996 season. That season he made fourinterceptions for 66 yards, and made 96 tackles. He was named All-Pro by Pro Football Weekly, and was second team Associated Press All-Pro in the 1998 season after having a career high of five interceptions, finishing fifth in the NFC. He made the Pro Bowl after the 1999 season after starting in all sixteen games, making three interception and 129 tackles. Robert broke their long-standing special team record for 29 tackles. 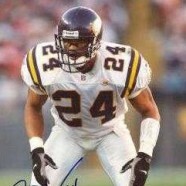 After eight seasons with the Vikings, Griffth signed a free agent contract with the Browns during the 2002 offseason, where he became one of the most experienced members in a young defense. He started in 44 games with the Browns earning six interceptions and 408 tackles in his three seasons. He led them in tackles with 157 in the 2004 season. He was released on February 27, 2005 by then recently hired head coach, Romeo Crennel, who was trying to rebuild the franchise following a 4-12 season. He then signed a two year contract with the Cardinals, where he started his last season and was active in all sixteen games, making 66 tackles and one interception for eleven yards. On March 2, 2007, he was cut by the Cardinals. 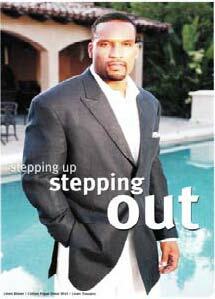 In 2008 he signed a contract to retire as a member of the Minnesota Vikings. Robert was also a 3 time All-Madden Selection, earned the 1999 Ed Block Courage and NFLPA Unsung Hero Awards, Byron “Whizzer” White Award, NFL Special Effort Awards and the 2000 Minnesota Man of the Year Award. Currently Griff is Director of Pro Personnel for the UFL (United Football League) Sacramento Mountain Lions, a team that includes Head Coach Dennis Green and starting quarterback Daunte Culpepper. In 1998, he founded the Robert Griffith Foundation, a highly successful program which provided college scholarships to underprivileged high school seniors. Effectively to date the foundation has sponsored 26 graduates from colleges across the US including West Point, Xavier, University of Michigan and Stanford to name a few. To continue the success of this project, Robert also initiated the Viking Challenge which targets k-6th graders and challenges them in 5 core areas of success: responsibility, non-violence, academic improvement, drug and alcohol abstinence. Each participating student signs a contract to commit to improving in these areas and, if accomplished, receives recognition and is awarded admission to a Viking Home Game. To this day, the program has been highly beneficial to the schools, children and community with clearly positive results.